5 Adjustable DPI Switch. 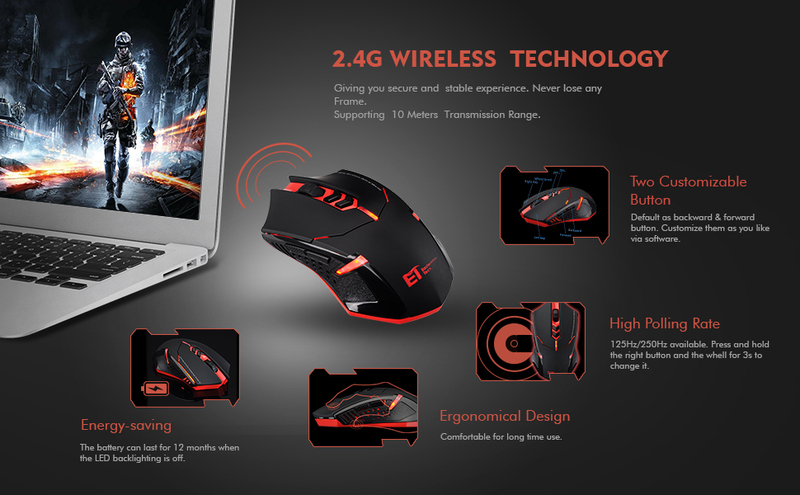 This wireless gaming mice no need any driver, plug and play. 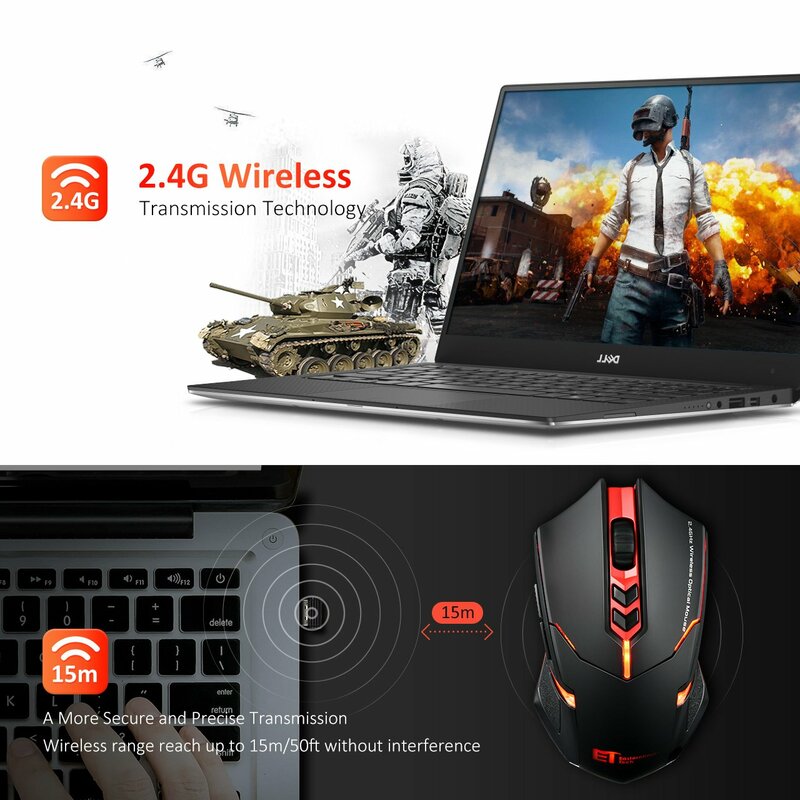 5 adjustable DPI level ( 800, 1200, 1600, 2000, 2400) to change the speed of mouse freely. Quiet Button Design. Left and right buttons produce little noise when you click them. 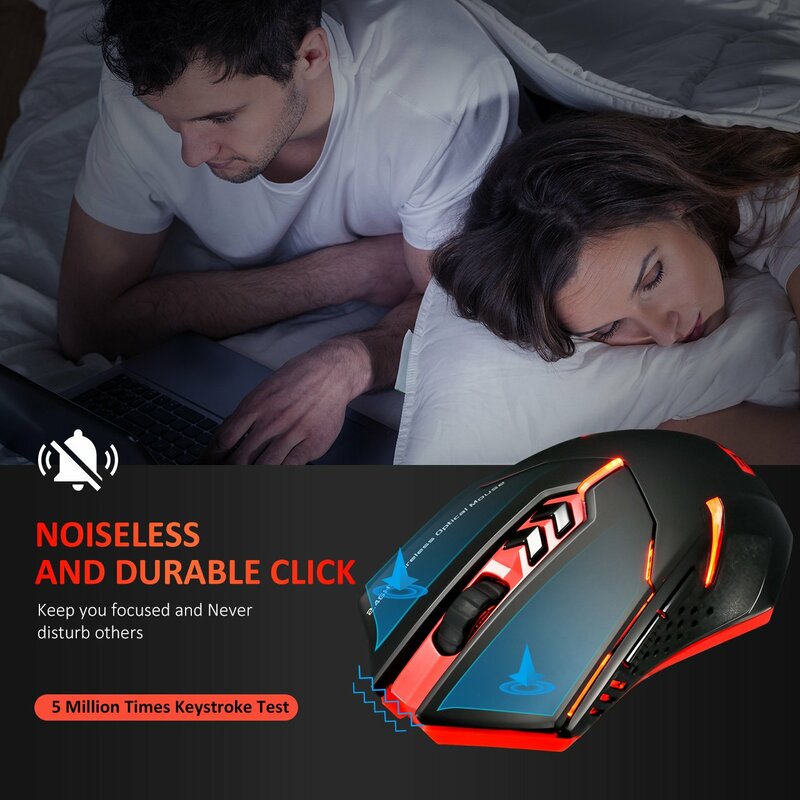 Perfect for public places such as offices, libraries, dormitories, internet Cafes where you do not want disturb others or interrupt your concentration. Advanced Energy-saving Chip. Multi-stage power saving mode, less power consumption. 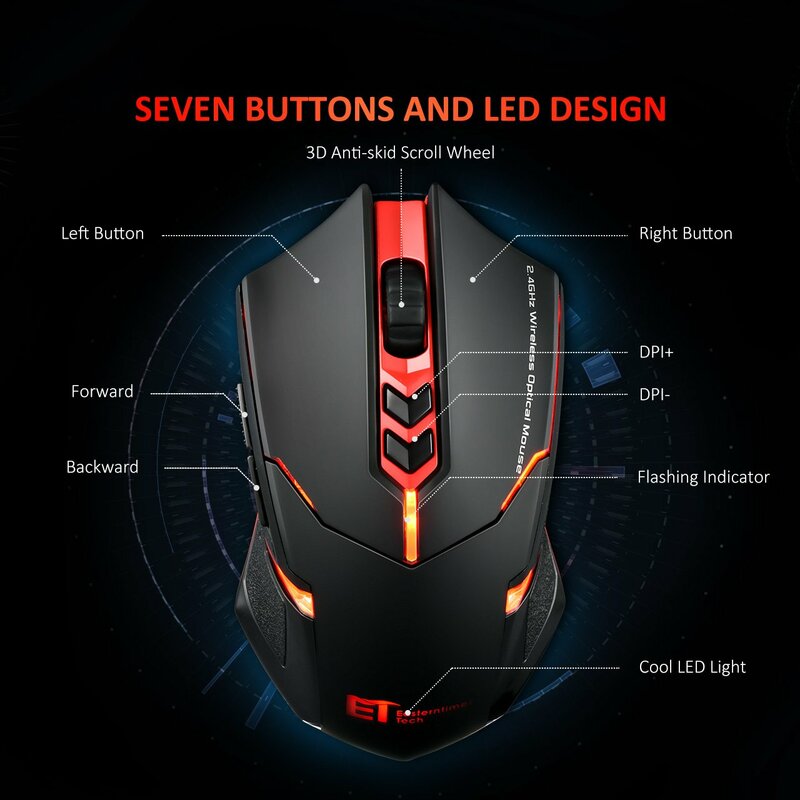 There is a button at the bottom of the mouse, three options: ON, OFF, ON/light. Put it at ON/light, the LED backlight will light up. The cursor performs stably. With strong adaptive surface ability, this wireless mouse works fine on many surfaces. Strong Compatibility. Work perfectly for Windows 7/8/10/XP/Vista/ME/2000/Mac10.x,etc. For Mac OS, the sided buttons are notavailable. 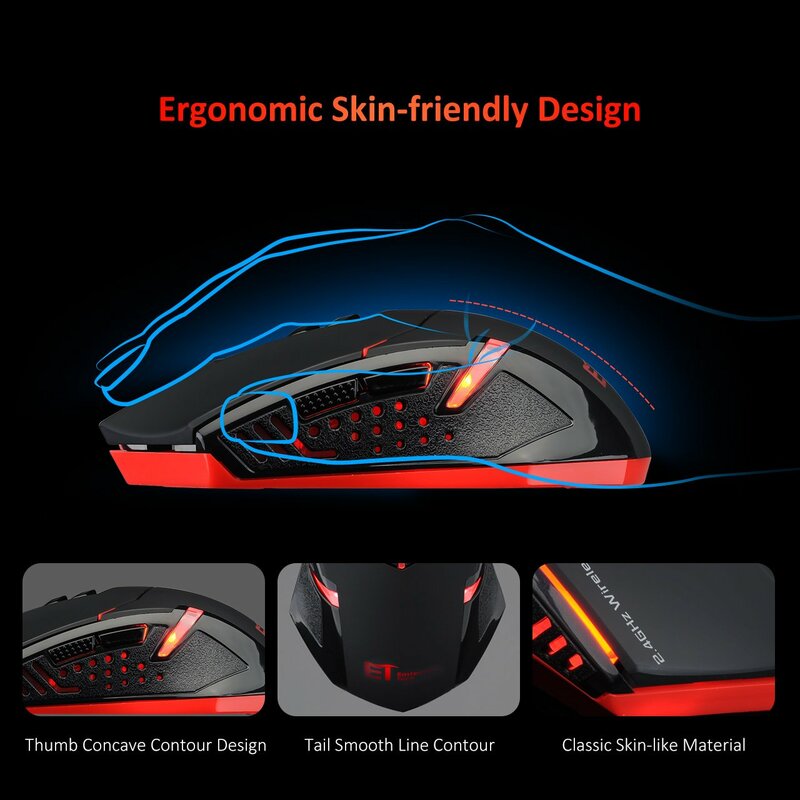 This is a high-grade Wireless Mouse. 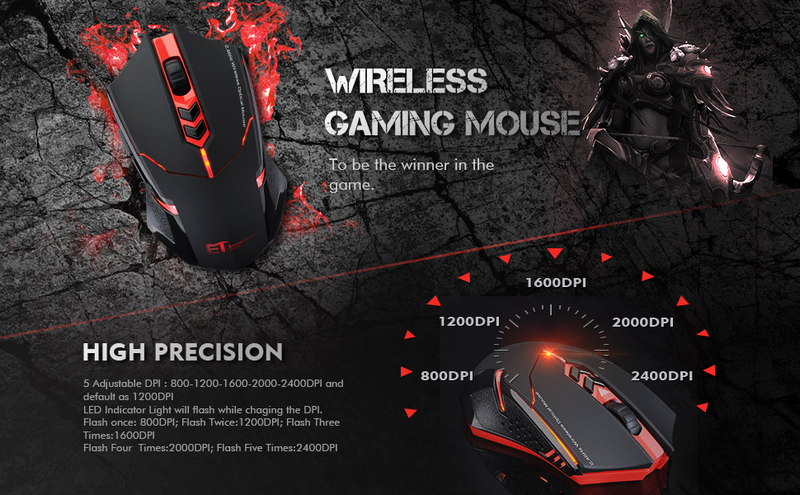 Features reliability, ease-of-use, and user comfort, this wireless gaming mouse gives you fast data transmission and no delay or dropouts. You deserve it! 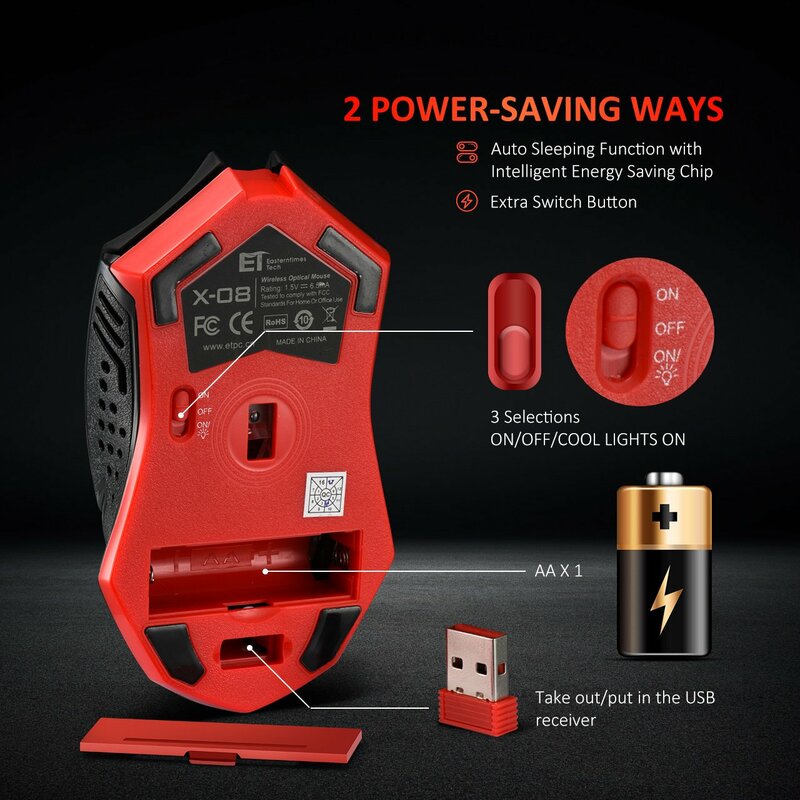 As the gamer mouse working in a certain time, the battery will be out of power, low power indicator will be flash in red, to alarm yo change new battery. If mouse stays out of work for 8 minutes, it will turn to power saving mode, press any button to restart it. If you turn off PC or take out Nano receiver from USB port, press any button or move the mouse to enter the power saving mode. Press DPI button, if the red indicator light flashes once, its DPI is 800. Press DPI button, if the red indicator light flashes twice, its DPI is 1200. Press DPI button, if the red indicator light flashes three times, its DPI is 1600. Press DPI button, if the red indicator light flashes four times, its DPI is 2000. 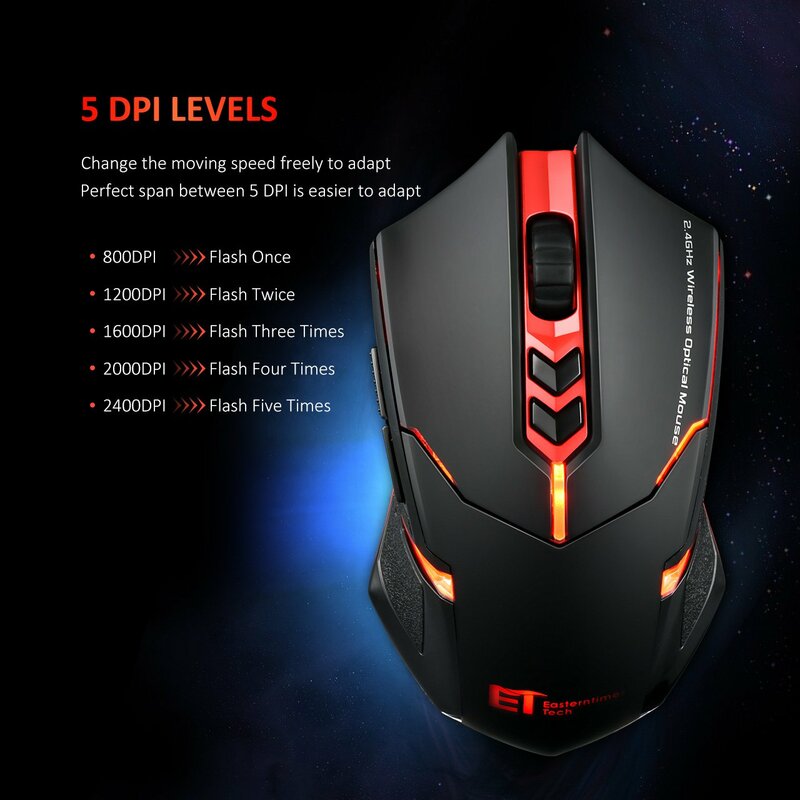 Press DPI button, if the red indicator light flashes five times, its DPI is 2400. 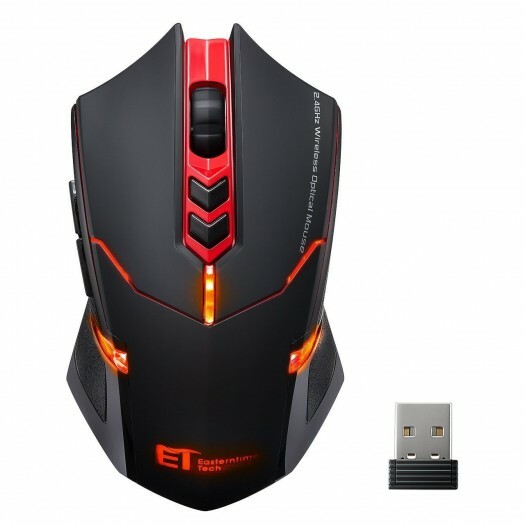 1.This mouse is perfect for entry level casual gamers, but not a substitute for high end gaming mice. 2. Apple computers (Mac OS) do not support the mouse¡¯s programmable function as some functions of Mac OS are not open to public. But the mouse¡¯s normal functions still can be used in the Apple computers or Mac OS.